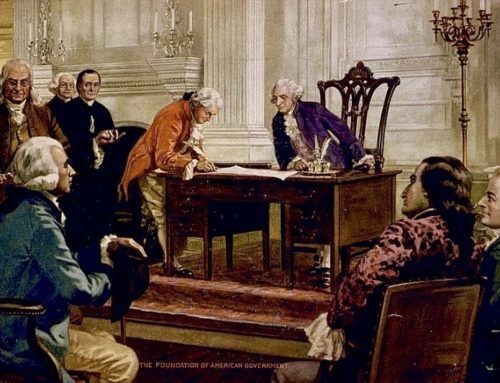 Editor’s note: On May 25, 1787, the Constitutional Convention began. 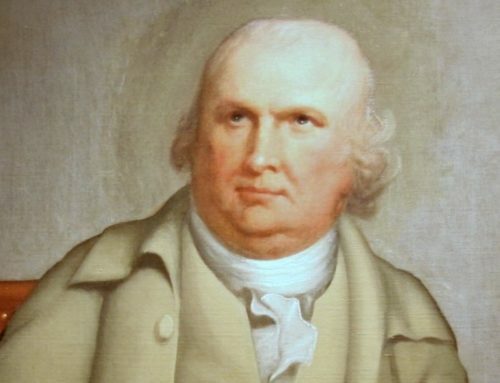 In honor of this momentous occasion, we invite you to explore some of James Madison’s notes during the convention as the members shaped our nation. The original text has been retained to the greatest extent practicable. In Committee of the Whole. Mr. PINCKNEY, according to previous notice, and rule obtained, moved, “that the first branch of the National Legislature be elected by the State Legislatures, and not by the people;” contending that the people were less fit judges in such a case, and that the Legislatures would be less likely to promote the adoption of the new government if they were to be excluded from all share in it.Mr. RUTLEDGE seconded the motion. Mr. GERRY. Much depends on the mode of election. In England, the people will probably lose their liberty from the smallness of the proportion having a right of suffrage. Our danger arises from the opposite extreme. Hence in Massachusetts the worst men get into the Legislature. Several members of that body had lately been convicted of infamous crimes. Men of indigence, ignorance, and baseness, spare no pains, however dirty, to carry their point against men who are superior to the artifices practised. He was not disposed to run into extremes. He was as much principled as ever against aristocracy and monarchy. It was necessary, on the one hand, that the people should appoint one branch of the government, in order to inspire them with the necessary confidence; but he wished the election, on the other, to be so modified as to secure more effectually a just preference of merit. His idea was, that the people should nominate certain persons, in certain districts, out of whom the State Legislatures should make the appointment. Mr. WILSON. He wished for vigor in the government, but he wished that vigorous authority to flow immediately from the legitimate source of all authority. The government ought to possess, not only, first, the force, but second, the mind or sense, of the people at large. The Legislature ought to be the most exact transcript of the whole society. Representation is made necessary only because it is impossible for the people to act collectively. The opposition was to be expected, he said, from the governments, not from the citizens of the States. The latter had parted, as was observed by Mr. KING, with all the necessary powers; and it was immaterial to them by whom they were exercised, if well exercised. The State officers were to be the losers of power. The people, he supposed, would be rather more attached to the National Government than to the State Governments, as being more important in itself, and more flattering to their pride. There is no danger of improper elections, if made by large districts. Bad elections proceed from the smallness of the districts, which give an opportunity to bad men to intrigue themselves into office. Mr. SHERMAN. If it were in view to abolish the State Governments, the elections ought to be by the people. If the State Governments are to be continued, it is necessary, in order to preserve harmony between the National and State Governments, that the elections to the former should be made by the latter. The right of participating in the National Government would be sufficiently secured to the people by their election of the State Legislatures. The objects of the Union, he thought were few—first, defence against foreign danger; secondly, against internal disputes, and a resort to force; thirdly, treaties with foreign nations; fourthly, regulating foreign commerce, and drawing revenue from it. These, and perhaps a few lesser objects, alone rendered a confederation of the States necessary. All other matters, civil and criminal, would be much better in the hands of the States. The people are more happy in small than in large States. States may, indeed, be too small, as Rhode Island, and thereby be too subject to faction. Some others were, perhaps, too large, the powers of government not being able to pervade them. He was for giving the General Government power to legislate and execute within a defined province. Col. MASON. Under the existing Confederacy, Congress represent the States, and not the people of the States; their acts operate on the States, not on the individuals. The case will be changed in the new plan of government. The people will be represented; they ought therefore to choose the Representatives. The requisites in actual representation are, that the representatives should sympathize with their constituents; should think as they think, and feel as they feel; and that for these purposes they should be residents among them. Much, he said, had been alleged against democratic elections. He admitted that much might be said; but it was to be considered that no government was free from imperfections and evils; and that improper elections in many instances were inseparable from republican governments. But compare these with the advantage of this form, in favor of the rights of the people, in favor of human nature! He was persuaded there was a better chance for proper elections by the people, if divided into large districts, than by the State Legislatures. Paper money had been issued by the latter, when the former were against it. Was it to be supposed, that the State Legislatures, then, would not send to the National Legislature patrons of such projects, if the choice depended on them? Mr. MADISON considered an election of one branch, at least, of the Legislature by the people immediately, as a clear principle of free government; and that this mode, under proper regulations, had the additional advantage of securing better representatives, as well as of avoiding too great an agency of the State Governments in the general one. He differed from the member from Connecticut, (Mr. SHERMAN,) in thinking the objects mentioned to be all the principal ones that required a national government. Those were certainly important and necessary objects; but he combined with them the necessity of providing more effectually for the security of private rights, and the steady dispensation of justice. Interferences with these were evils which had, more perhaps than anything else, produced this Convention. Was it to be supposed, that republican liberty could long exist under the abuses of it practised in some of the States? The gentleman (Mr. SHERMAN) had admitted, that in a very small State faction and oppression would prevail. It was to be inferred, then, that wherever these prevailed the State was too small. Had they not prevailed in the largest as well as the smallest, though less than in the smallest? And were we not thence admonished to enlarge the sphere as far as the nature of the government would admit? This was the only defence against the inconveniences of democracy, consistent with the democratic form of government. All civilized societies would be divided into different sects, factions, and interests, as they happened to consist of rich and poor, debtors and creditors, the landed, the manufacturing, the commercial interests, the inhabitants of this district or that district, the followers of this political leader or that political leader, the disciples of this religious sect or that religious sect. In all cases where a majority are united by a common interest or passion, the rights of the minority are in danger. What motives are to restrain them? A prudent regard to the maxim, that honesty is the best policy, is found by experience to be as little regarded by bodies of men as by individuals. Respect for character is always diminished in proportion to the number among whom the blame or praise is to be divided. Conscience, the only remaining tie, is known to be inadequate in individuals; in large numbers, little is to be expected from it. Besides, religion itself may become a motive to persecution and oppression. These observations are verified by the histories of every country, ancient and modern. In Greece and Rome the rich and poor, the creditors and debtors, as well as the patricians and plebeians, alternately oppressed each other with equal unmercifulness. What a source of oppression was the relation between the parent cities of Rome, Athens, and Carthage, and their respective provinces; the former possessing the power, and the latter being sufficiently distinguished to be separate objects of it? Why was America so justly apprehensive of parliamentary injustice? Because Great Britain had a separate interest, real or supposed, and, if her authority had been admitted, could have pursued that interest at our expense. We have seen the mere distinction of color made, in the most enlightened period of time, a ground of the most oppressive dominion ever exercised by man over man. What has been the source of those unjust laws complained of among ourselves? Has it not been the real or supposed interest of the major number? Debtors have defrauded their creditors. The landed interest has borne hard on the mercantile interest. The holders of one species of property have thrown a disproportion of taxes on the holders of another species. The lesson we are to draw from the whole is, that where a majority are united by a common sentiment, and have an opportunity, the rights of the minor party become insecure. In a republican government, the majority, if united, have always an opportunity. The only remedy is, to enlarge the sphere, and thereby divide the community into so great a number of interests and parties, that, in the first place, a majority will not be likely, at the same moment, to have a common interest separate from that of the whole, or of the minority; and, in the second place, that in case they should have such an interest, they may not be so apt to unite in the pursuit of it. It was incumbent on us, then, to try this remedy, and, with that view, to frame a republican system on such a scale, and in such a form, as will control all the evils which have been experienced. 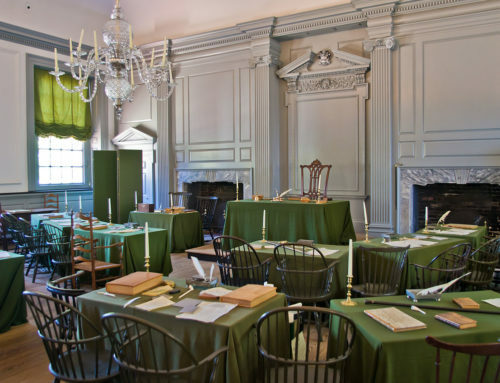 On the question for electing the first branch by the State Legislatures as moved by Mr. PINCKNEY, it was negatived, — Connecticut, New Jersey, South Carolina, aye — 3; Massachusetts, New York, Pennsylvania, Delaware, Maryland, Virginia, North Carolina, Georgia, no — 8. James Madison, Jr. (March 16, 1751 – June 28, 1836) was an American statesman, political theorist and the fourth President of the United States (1809–17). He is hailed as the "Father of the Constitution" for being instrumental in the drafting of the U.S. Constitution.